Each day, the men and women of the 43,000 plus active duty Coast Guard, over 8,000 Reservists, and 30,000 Auxiliarists provide services over 3.4 million square miles of Exclusive Economic Zones. Responded to 19,790 Search and Rescue cases, saved 3,560 lives and more than $77 million in property. Removed 107 metric tons of cocaine bound toward the U.S. via the Transit Zone. Continued the deployment of six Patrol Boats and 400 personnel to protect Iraqi critical maritime oil infrastructure and train Iraqi naval forces. Conducted 919 escorts and patrols to support 190 domestic U.S. military cargo out-loads. Conducted 25,500 container inspections, 5,000 facility safety and marine pollution related inspections, and 1,195 cargo transfer monitors to ensure safety and environmental stewardship of the maritime domain. Conducted 1,424 boardings of high interest vessels designated as posing a greater-than-normal risk to the United States. Interdicted nearly 3,000 undocumented migrants attempting to illegally enter the United States. Conducted over 3,700 safety and security exams on vessels operating on the U.S. Outer Continental Shelf. Conducted over 11,600 annual inspections on U.S. flag vessels inspected and certificated in accordance with 46 Code of Federal Regulation (CFR) 2.01-7. Conducted 4,603 investigations for reportable marine casualties involving commercial vessels. 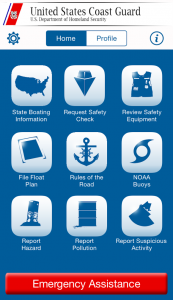 Conducted over 49,000 recreational vessel boardings, issued over 12,000 citations, and visited 1,150 recreational boat manufacturers in conjunction with state efforts to provide education and ensure compliance with federal regulations. Conducted over 6,000 fisheries conservation boardings. Investigated and responded to over 3,300 pollution incidents. Verified more than 70,000 Transportation Worker Identification Credentials. What else happens during an average day? Small boats are underway for 396 sorties/missions. Aircraft fly 164 missions, logging 324 hours, of which 19 hours are flown off patrolling cutters. Law enforcement teams board 144 vessels. Cutter and small boat crews interdict and rescue 14 illegal immigrants. Marine Safety personnel open 8 new cases for marine violation of federal statutes. Marine Inspectors board 100 large vessels for port safety checks. Vessel examiners conduct 20 commercial fishing vessel safety exams and issue 11 fishing vessel compliance decals. Pollution investigators respond to 20 oil or hazardous chemical spills totaling 2,800 gallons. Buoy tenders and Aids to Navigational Teams service 135 aids to navigation. Vessel Traffic Service controllers assist 2,509 commercial ships entering & leaving U.S. ports. Auxiliarists conduct 377 vessel safety checks and teach boating safety courses to 550 boaters. The U.S. Coast Guard seizes 1 drug smuggling vessel every five days. Icebreakers and buoy tenders assist 196,938 tons of shipping daily during the Great Lakes ice season. International Ice Patrol sorties provide ice safety information to facilitate the 163,238 tons of shipping during the North Atlantic ice season. The Coast Guard is smaller than the New York City Police Department.